WARNING: All bizzare situations to your collection of strange life episodes can happen. 8:00 AM: Pack your things and dreams to the luggage. 9:00 AM: What the hell would Lisbon be without Pastéis de Belém? Here is no need to use breakfast delivery companies’ services. 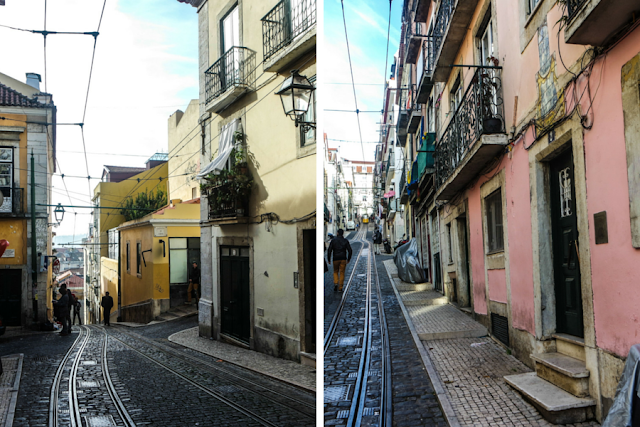 Feeling the real Lisbon is to visit Antiga Confeitaria de Belém. 10:00 AM: Best time to roam Lisbon city center till it is not crowded. 11:00 AM: Pack yourself and best friends into the car, put favourite music playlist and drive ahead, and, certainly, possess your soul in patience till Seville. 2:00 PM: Crossing the bridge gate between Portugal and Spain will fill you in the feeling of being in two countries at the same time. No doubt, priceless experience. 3:00 PM: Stop in Seville for a late lunch in one of places where bulls heads, fixed to the walls, play main decoration. 5:00 PM: If you do not believe in love at the first sight, Gibraltar will change your point of view. 6:00 PM: Spend the rest of your evening in exploring Gibraltar and making plans for next day sightseeing. There are a lot of areas to fresh eyes, so certainly, one spot will lead you to the other. I, for one, could stare at Africa’s land for hours. Give it a glance too. Lucky one can watch the performance of landing plane. 7:00 PM: And finally, catch last sun rays. If you belong, as me, to the people with irrational fear of wasting last daylight hours, photograph sunset. It is magical here. Than, sit for some time in silence with half-closed eyes. 8:00 PM: Eat dinner in some of cosy restaurants, located next to the Ocean. Then, best time for last walks. Night time is vibrant here. 11:00 PM: Time to be glad to go to bed. Bang the room door behind you, drop off after all day and sleep soundly all night.